"My girlfriend dumped a lot of my videos to the PC and used Windows Media Video.wmv as the file extension format. Among those wmv files there are my favourite music videos and I am sure that they are not in my music library. I tried many ways to convert wmv to mp3 on mac but I could’t get any luck. Could someone rip mp3 audio from these damn wmv files on mac?" To convert WMV to MP3 mac is not a rare problem that besets Mac users. Many users have encountered the same issue and could do nothing but nailbiting. It is generally known that WMV video file format is widely used on Windows-based computers, which is not compatible on Mac, nor can it be played on any mobile devices. It used to be hard for those who want to separate mp3 music from wmv video, but a third-party conversion tool makes things easier. 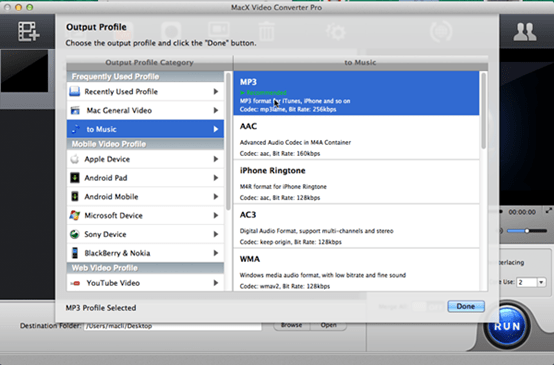 MacX Video Converter Pro is on the top list of music ripper. You can create your own original video soundtrack with this application 83X faster with no quality loss. 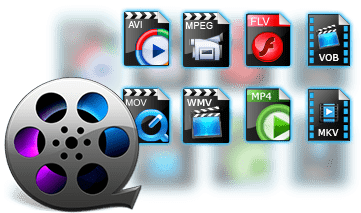 Built in 370+ video & audio codecs, it transcodes WMV to MP3, AAC, AC3, WMA and other audio formats, but also convert WMV to MOV, WMV to MP4, WMV to 3GP, FLV and etc. In addition to WMV, it in fact could decode video among various popular common/HD videos and extract audio from videos in various other formats like MP4, MPEG, AVI, FLV, MOV, MKV, M2TS etc. Follow the four simple steps below to convert WMV to MP3 easily and quickly. Before you start, make sure you free download this WMV to MP3 converter and installed it on your computer. Launch the program and click "Add Video" button to import your WMV files. Or you can drag the WMV files directly to the interface. After the WMV files are input, Click "to Music" and choose MP3. You can also modify the audio parameters of output MP3 files, including audio codec, audio quality, bit rate, sample rate, channel, etc. Note: If you want to change WMV video format to your mobile devices to enjoy on the go, you can also choose a device profile in the scheme to convert WMV to iPad Air, WMV to iPhone, WMV to Android and so on. Click "Browse" button in output setting area and select a destination folder to save your ripped MP3 file. Click "RUN" button to start the conversion of WMV to MP3 audio on Mac. You can view the conversion progress and cancel it at anytime. The whole process is 83x faster than any others. 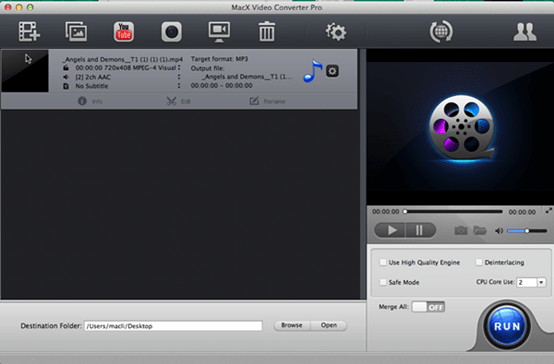 Now you may have known how to convert WMV to MP3 mac easily. On top of this capability, there is something more about it that may be of interest to you. Namely, to download and convert YouTube videos. Any YouTube videos you like, including the hottest music video such as Justin Bieber Sorry, Taylor Swift Wildest Dreams, Zootopia soundtracks Try Everything, etc can be easily downloaded MacX Video Converter Pro.